On 5, 6 and 7 April, Friendship had the privilege to take part in a new very successful and promising event in Luxembourg: the Fair Fashion Days. 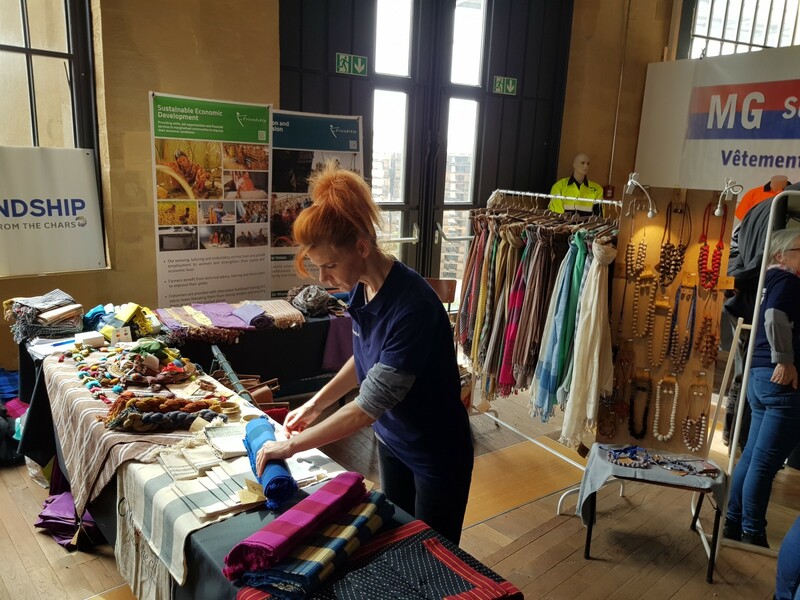 As part of the campaign Re-Think Your Clothes, the Fair Fashion Days gathered for three days at Les Rotondes labelled fashion exhibitors, upcycling designers and ethical fashion actors or retailers. There was a big affluence over these three days and interesting encounters. The general public was eager to listen to the story behind each Friendship product on offer, and very conscious of buying with a purpose and a positive impact. During three intense days we were able to present the work of the women in the chars in the weaving centres, and share stories of empowerment of communities via Friendship activities. We are very thankful to the whole team of FairTrade Luxembourg & Caritas Luxembourg for the initiative “Rethink your clothes” and for inviting us to join! 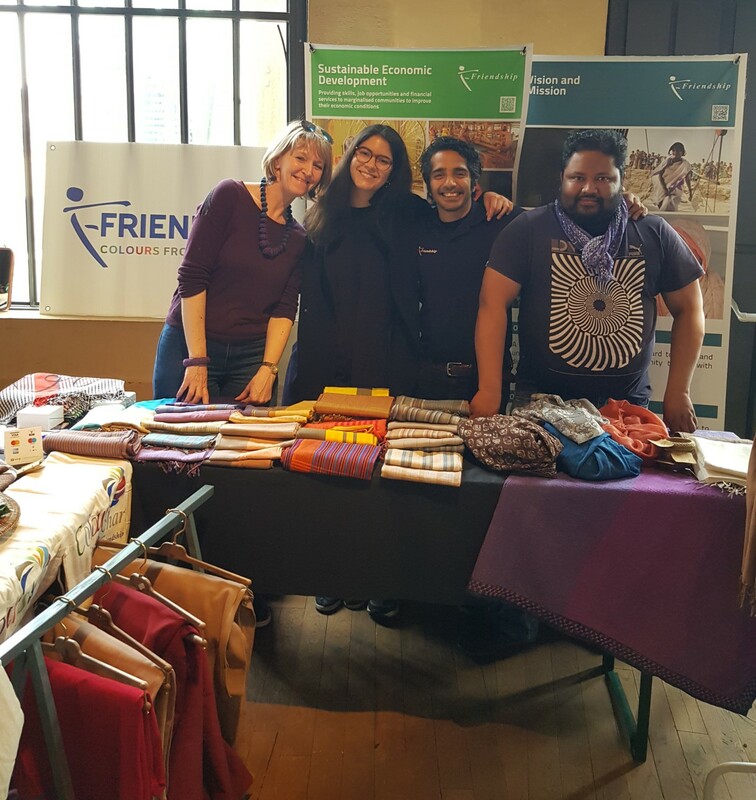 We also want to thank the very strong and enthusiastic team of Friendship volunteers who spent some time with us on the stand and helped promote our weaving items Friendship Colours From the Chars. Thanks to their precious support Friendship has been able to sell its woven ethical products for an amount of more than 3.500 EUR! A nice video report of the event has been produced by Ecobeetv and is visible at this location. The interview of the Minister for the Environment, Climate and Sustainable Development Carole Dieschbourg took place right in front of Friendship’s exhibition stand. Friendship’s promotion has also a significant place in this video. We really look forward joining again next year for the second edition! For more information on Friendship’s action, visit our website via this link. Friendship is an NGO that helps poor people in Bangladesh. We make it our priority to reach communities in remote areas that are otherwise inaccessible. Friendship Luxembourg is one of the European branches of the NGO Friendship. We work together with our teams in Bangladesh to create lasting solutions to the challenges faced by the poor and vulnerable communities in Bangladesh.